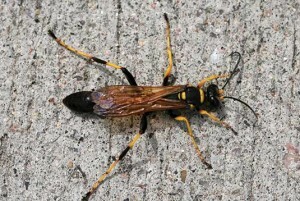 Stinging insects can present many problems for pest management professionals (PMPs) and homeowners. For some, the mere presence of bees and wasps can trigger a homeowner to call, looking for answers. As you start getting ready for stinging pest season, consider these tips to help make it as easy and stress-free as possible. 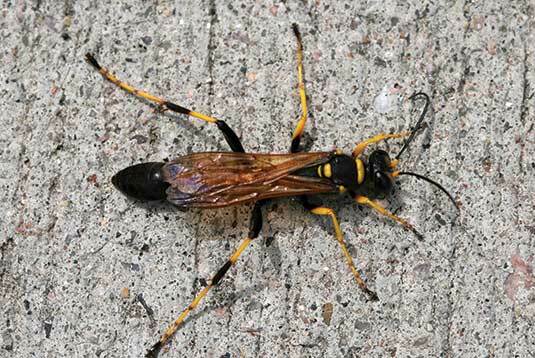 ⦁ Mud daubers — The sturdy, hardy, mud tubes built by these solitary wasps can turn into a near-constant struggle for PMPs. Although the wasps are beneficial, many homeowners dislike their unsightly brood chambers. If you’re called in to treat, scrape all remnants of the mud tubes off of the structure. Killing the mud daubers, but leaving the brood chamber can lead to other wasps moving in and taking over the abandoned structure. It can even attract parasitic cuckoo wasps and dermestid beetles. Consider using a residual insecticide on surfaces in areas that are prone to mud dauber nesting activity. ⦁ Carpenter bees — If you have customers who have repeatedly been affected by carpenter bees, or know they’re prevalent in your area, consider taking the offensive and going to these accounts in the spring. Treating surfaces that are prone to carpenter bee pressure (wood trim, sills, railings, eaves, decks, etc.) with a residual insecticide can go a long way toward keeping damaging bees away. It also prevents their unsightly damage from irritating your customers. Differentiate between foraging bees and wasps and those nesting on-site when determining whether a treatment for stinging insects should be performed. And as always, read and follow label directions. You can reach Dr. Bennett Jordan, entomologist and staff scientist for the National Pest Management Association, at bjordan@pestworld.org. 1 Comment on "Callback Cures: Tips for Dealing With Bees, Wasps and Anxious Customers"